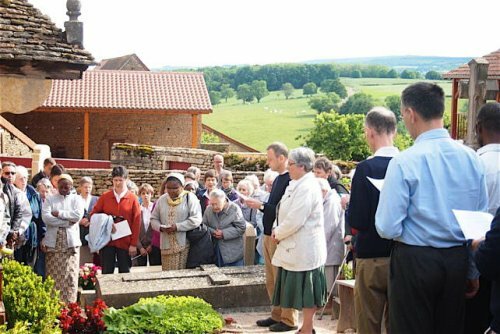 In May 1966 the first Sisters of Saint Andrew arrived in Taizé, an international congregation whose mother-house is in Belgium. At the beginning, in response to a request from Brother Roger, they came to help the brothers for three months... and ever since then they have been working together. At the end of May 2016, a weekend of celebration for the two communities marked the anniversary. On Saturday, two sisters, one from Australia and one from Congo, made their perpetual profession at Ameugny, in the presence of some sixty sisters, some of whom live on the hill and some who came specially for the occasion from Europe or from Africa. 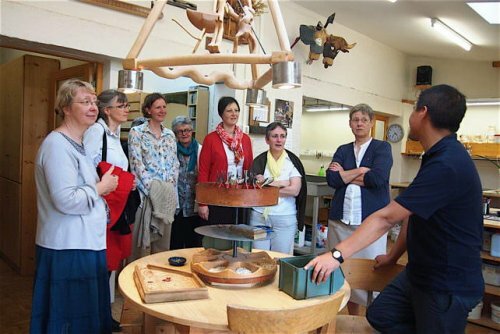 On Sunday, the sisters joined the Taizé brothers for the midday meal and for the afternoon, during which different meetings and a visit to the brothers’ workshops were on the program. so that the world may believe that you sent me." O Christ, we praise you for the beautiful collaboration that has united us to the Sisters of St Andrew for fifty years. 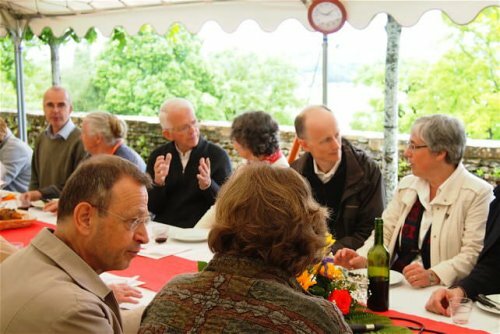 You want us to serve your Church and you call us to be together, in our complementarity, witnesses to joy, simplicity, and mercy, especially for the younger generations. We praise you for those who have opened the way for us—St. Ignatius, Mother Marie-Tarcisius, and Brother Roger. Send the Holy Spirit upon us, that he may keep alive in us the passion for communion, and that your peace may shine on earth.